An early episode of this year’s Bake Off required each competitor to present their own take on a Tarte Tatin to Mary and Paul. Ever since, I’ve been meaning to try my hand at making this wonderfully posh-sounding dessert, and when delicious. magazine adorned their cover with this mahogany-hued gem last October, the question of which recipe to follow was answered. Begin by peeling, coring and halving your apples. Don’t worry if they start to brown a bit as they will be smothered in caramel in the finished product. Now ideally you’ll have an oven-proof frying pan (roughly 20cm across at its base) that you can use for all steps of this recipe, but if you’re short of stove and oven compatible containers (as I am), you can use a frying pan first and transfer everything to a casserole or pie dish part way through. Add the golden caster sugar and water to the frying pan and, over low heat, stir until melted. Once melted, increase the heat, stop stirring and bubble for about 5 minutes or until the caramel is a rich brown colour. Here, you’ll want to swirl the caramel around to prevent it burning, and don’t be afraid to cook the caramel until it’s a lovely dark colour. That said, if you suspect it’s about to go too far and pass into the realm of burnt, it’s useful to have a sink full of cold water at the ready to plunge your pan into to stop the cooking process. As soon as you’re happy with the colour of the caramel, remove it from the heat and immediately stir in the butter and salt (you’ll be able to expect a bit of foaming activity here). Arrange the apples in the pan, round side down, and fill in the gaps with smaller slices of apple. Return the pan to the heat and cook for a further 5 minutes on low heat. If you’re not using an oven-proof pan, now’s the time you’ll have to do a bit of juggling. Carefully remove the apples from the pan, transfer the caramel to a round casserole or pie dish (20cm in diameter at the bottom), then re-arrange the apples in the new dish. Following this (in either scenario), leave the apples and caramel to cool. Preheat the oven to 220ºC/fan200ºC/430ºF. 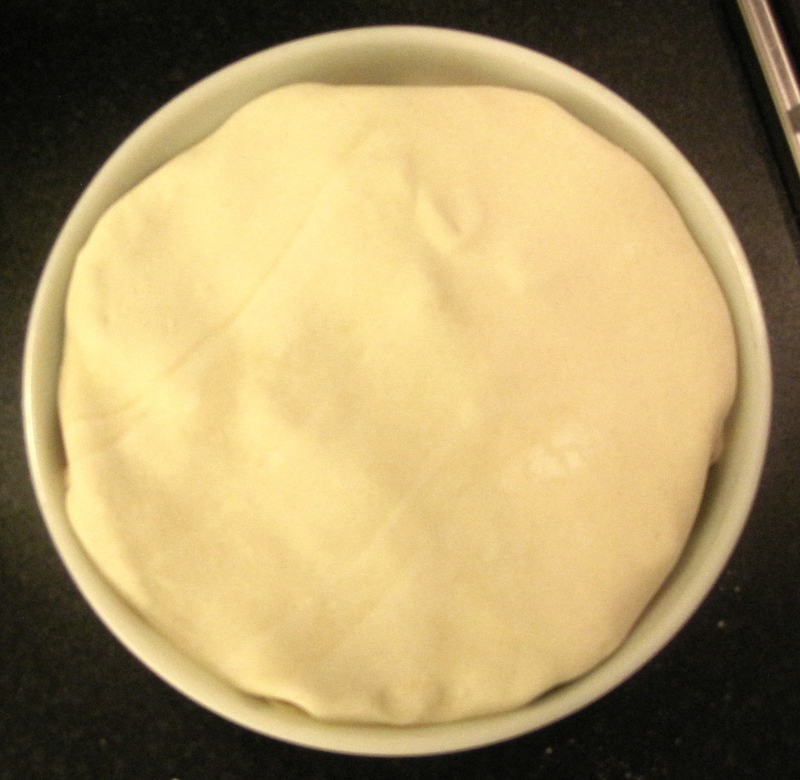 Roll your pastry out on a floured surface until it’s 2-3mm thick (roughly the thickness of a pound coin). Using a plate or lid (or anything you can find that’s very slightly larger than your pan) as a guide, trace and cut your pastry into a large circle. Transfer the pastry onto your pan and tuck the edges into the side between the apples and the edge. Bake for 30 minutes or until the pastry is a lovely golden brown. Remove from the oven, cool for 5 minutes, then invert onto a serving plate. I served mine with a scoop of vanilla ice cream and it went down a treat!